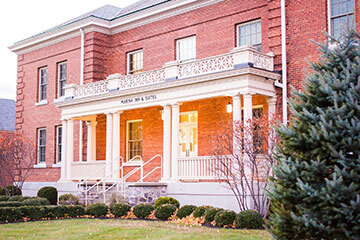 Madison Barracks features rehabilitated and new residential and commercial buildings in dignified architectural harmony. 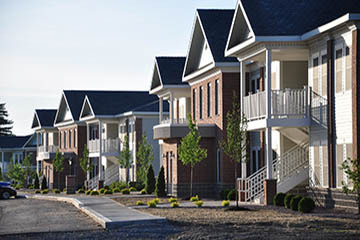 Single family waterfront and water view homes, market rate apartments, hotel, retail businesses, restaurants, marina and a family health care facility is Madison Barracks today. It offers its residents, guest and visitors an exceptional blend of recreational, social and educational activities within the site. Creekside Lane apartments are the newest apartments buildings at Madison Barracks. Featuring quartz countertops, solid maple cabinetry, sculptured carpets, marble tile, balconies, or decks. Located along the banks of Mill Creek, with spectacular views of Lake Ontario and the sweeping grounds of the historic Polo Field. Marina Inn & Suites offers a number of great suites and standard room options at our historic and scenic location. There is nothing quite like our location in the Sackets Harbor, so contact our team today for a pleasant stay with your family and friends in an exciting area of our state. FREE parking also available at our location! 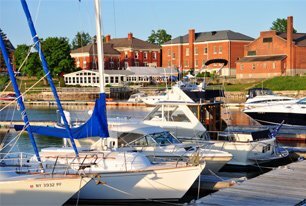 Overlooking beautiful Lake Ontario, Sackets Harbor provides for fun and exciting year-round activities for the entire family. Located on Black River Bay, Sackets Harbor is one of New York state’s heritage areas, with a number of exceptional historic attractions and stunning tree-lined streets. Visitors to our village have an opportunity to discover a unique history, enjoy charming architecture and participate in a variety of activities. For additional details or to speak with a member of our staff, please call 315-646-3375 and we’ll be happy to help you always! You can begin your first visit by checking out the Sackets Harbor Visitor’s Center. From there, you can enjoy local specialty retail and antique shops, find the perfect fine and casual dining accommodations or just relax at an attractive hotel or motel with comfortable bed and breakfast options. Choose to visit the state battlefield site and a nearby military cemetery. You can also find a selection of great spots for picnicking, camping, fishing, golfing, sailing, power boating, kayaking, bicycling and swimming at local area beaches. We are also within close range of the discovery center, museums and other fun, family-oriented galleries. 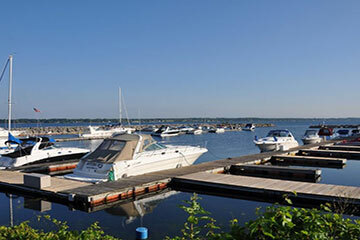 Take a stroll or drive along Sackets Harbor’s picturesque streets and paths or enjoy access to deep-water marinas, a public dock and boat launch. 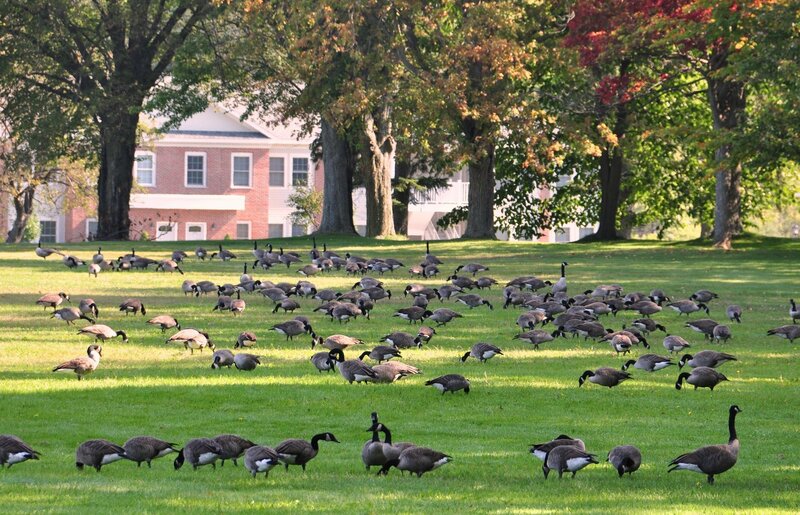 The area also hosts a number of summer concerts and festivals, featured music performances by popular artists, and local art galleries and living history demonstrations. During the fall and winter months, you can also enjoy colorful foliage, sparkling snow and a number of other seasonal events. Sackets Harbor is also your typical, year-round service community, including a school, libraries, business development opportunities, police and emergency services, churches, food, beverages, gardens, hardware and bait stores, a post office, bank, ATMs, bakeries and a gas station. In fact, Sackets Harbor has everything you could possibly need to make the most of your time spent with us.